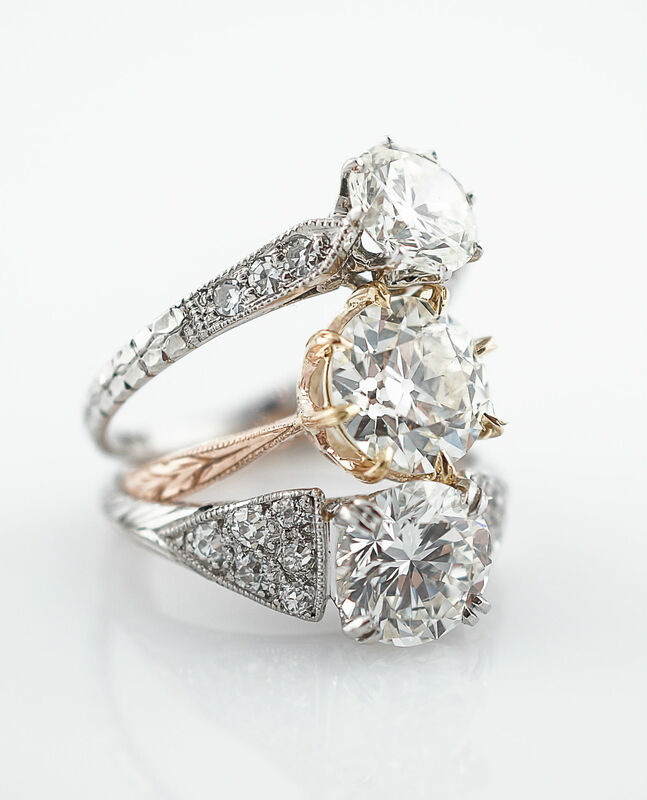 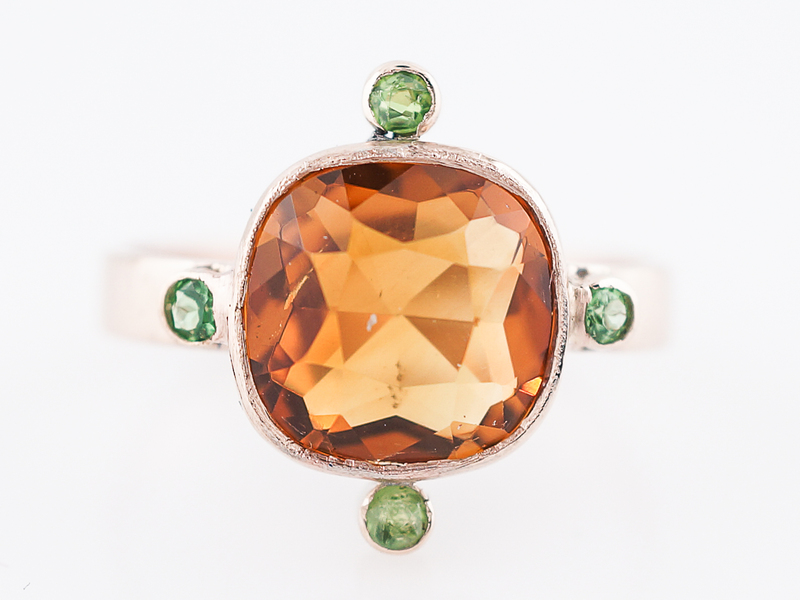 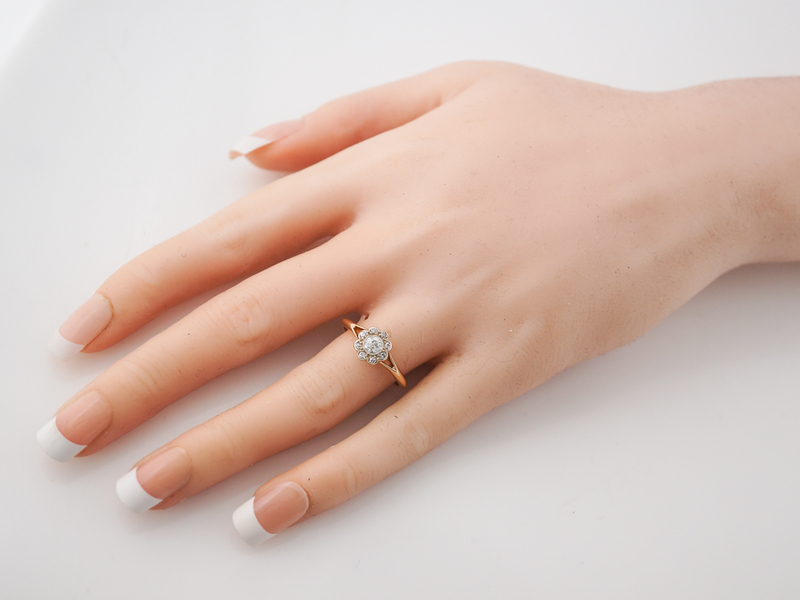 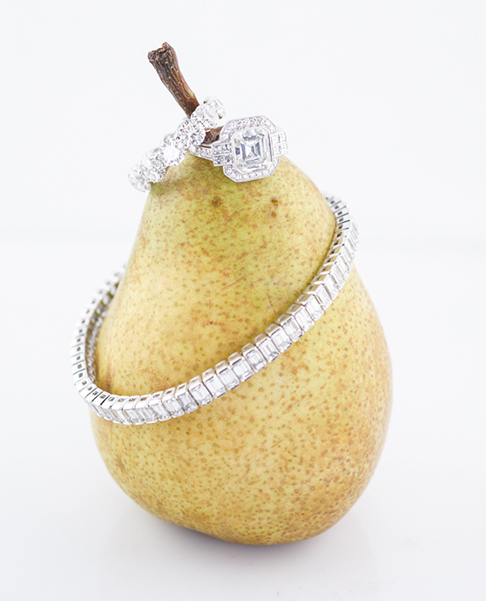 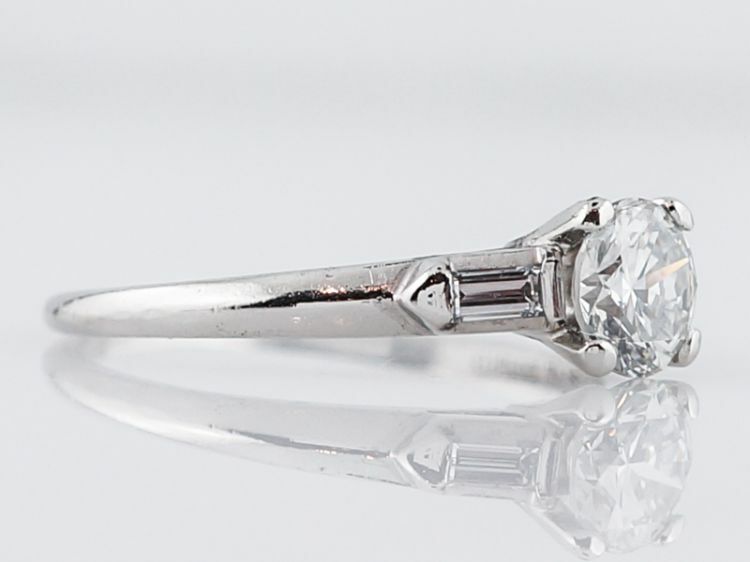 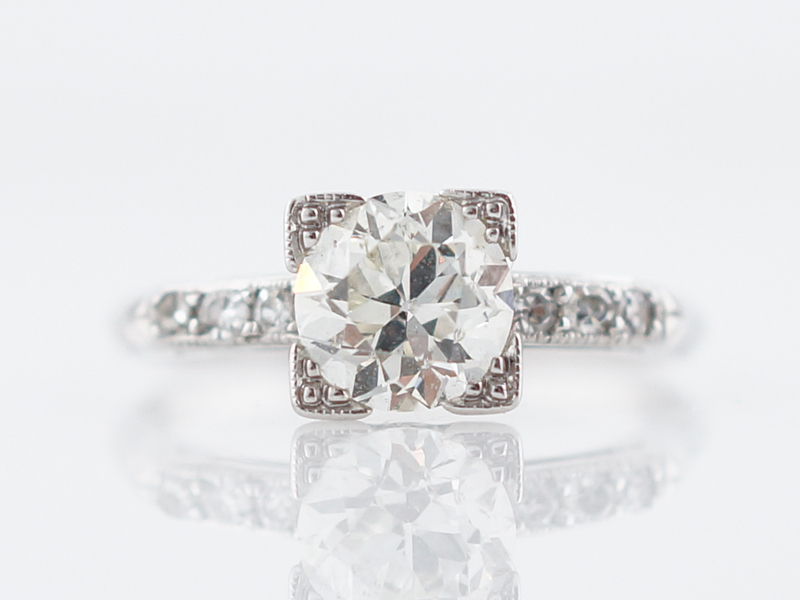 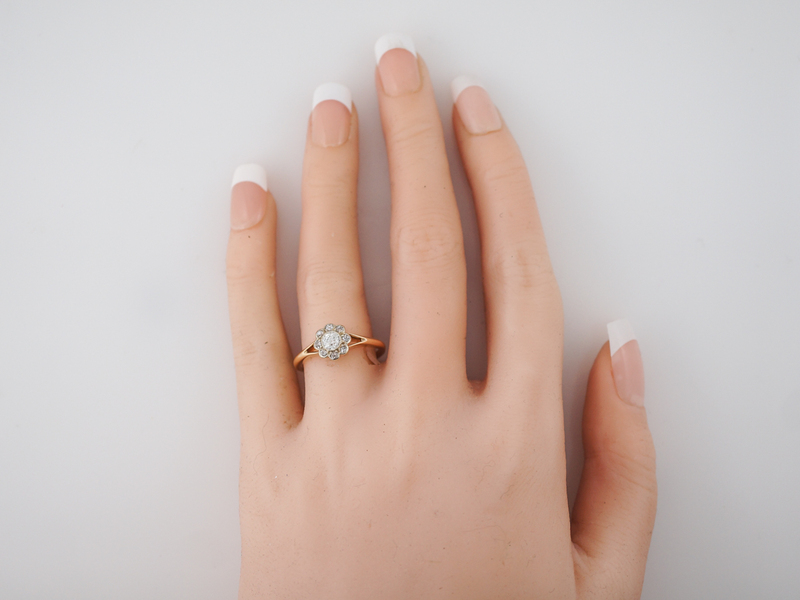 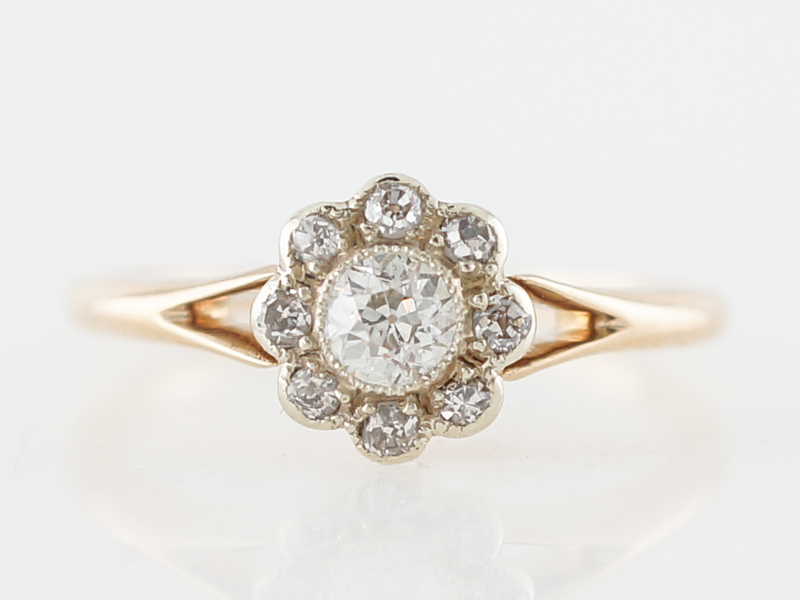 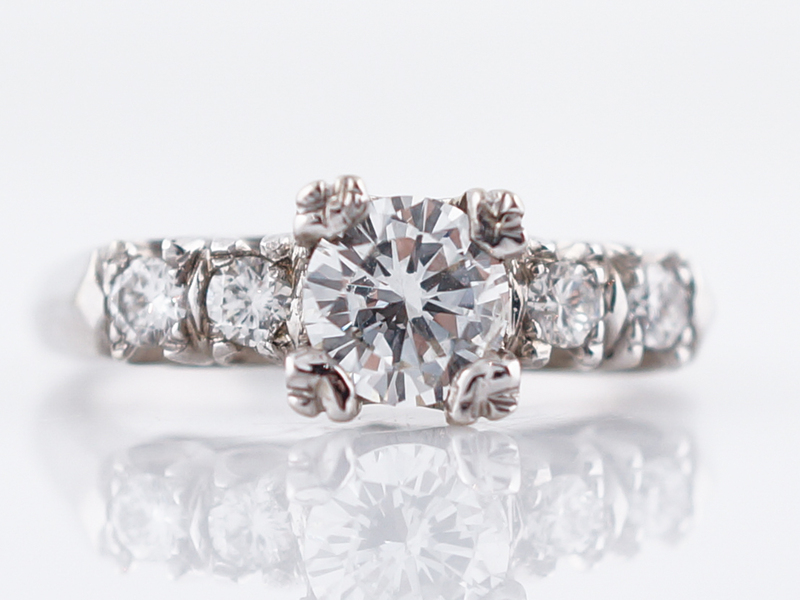 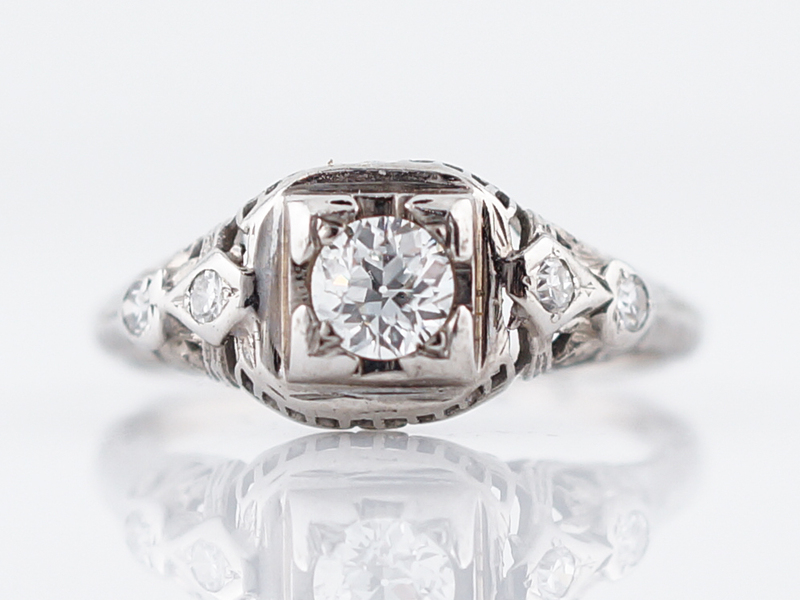 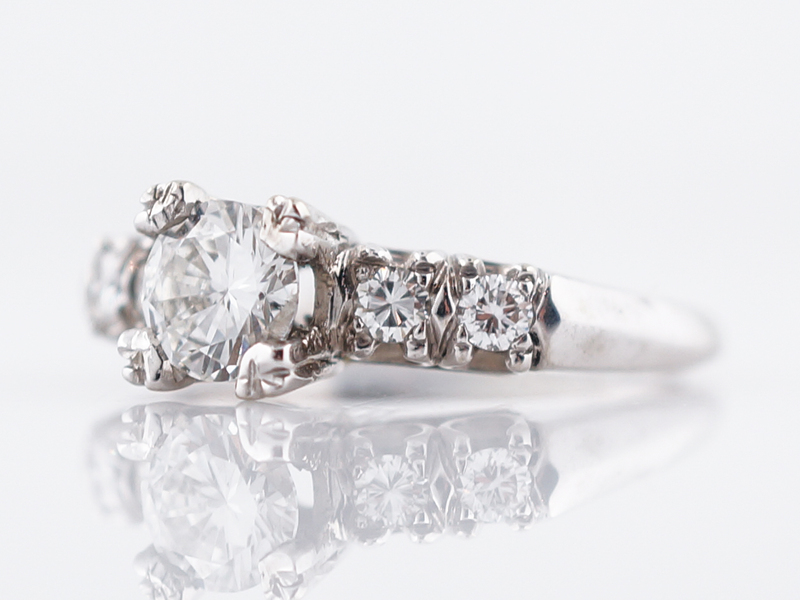 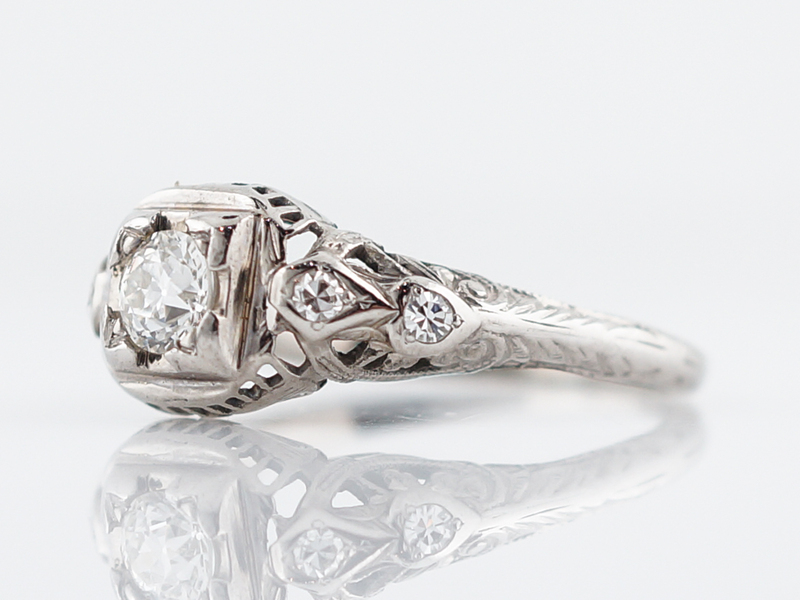 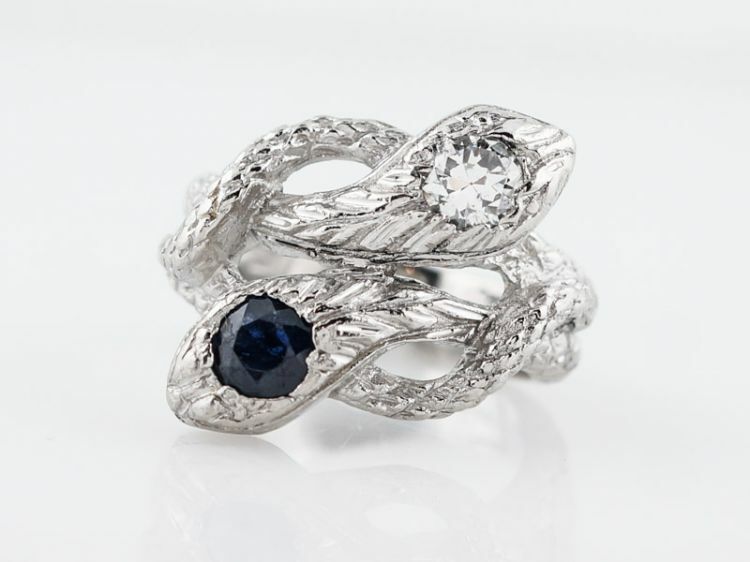 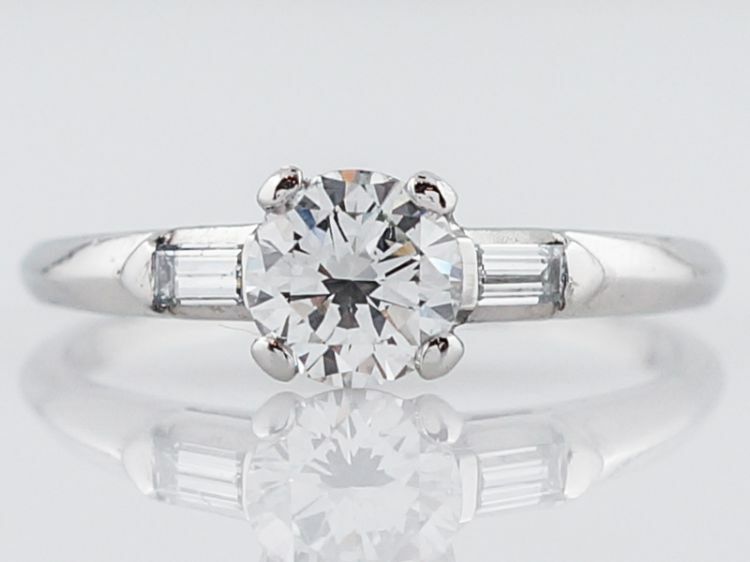 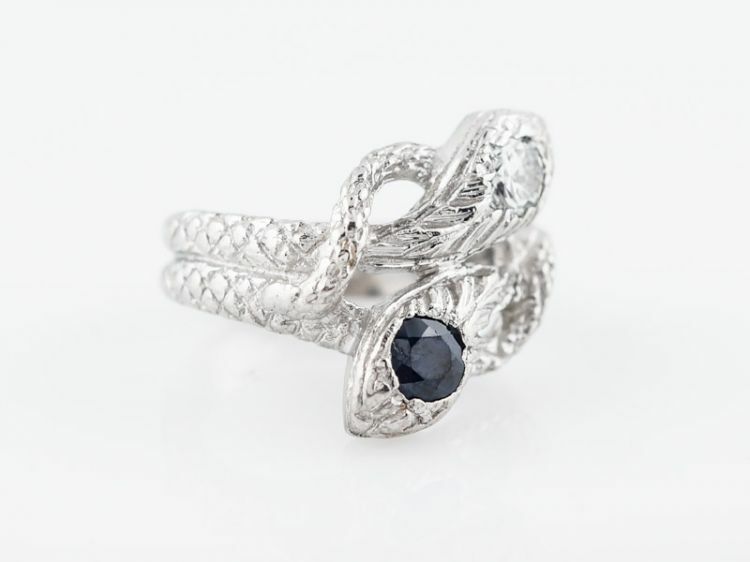 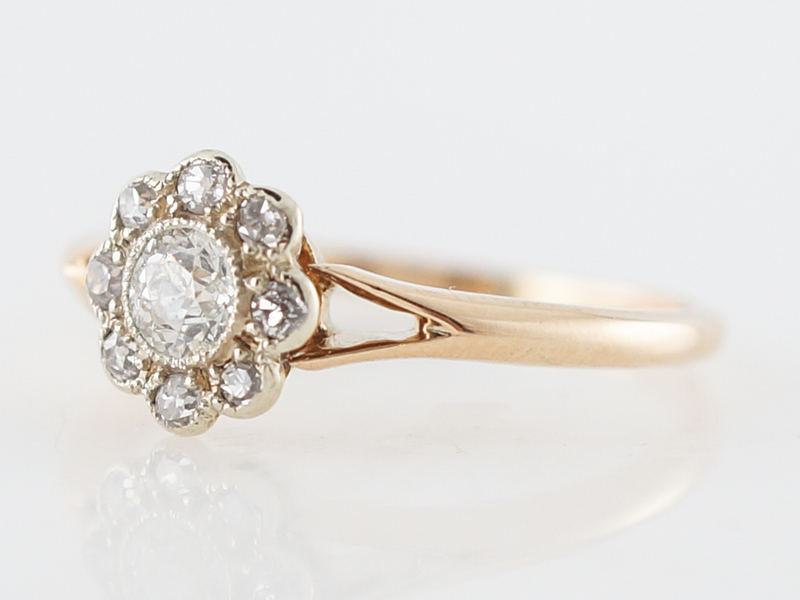 This sweet vintage engagement ring is classic victorian style. 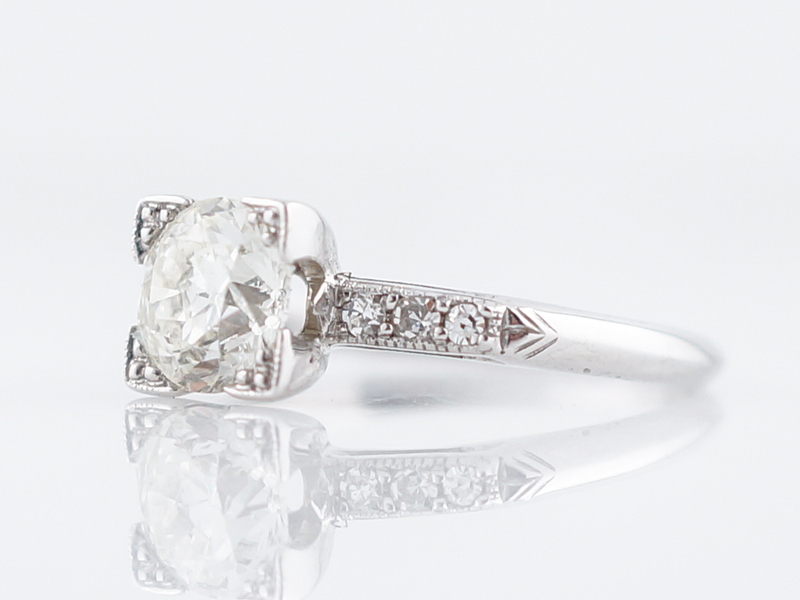 The center stone is a .24 carat old european diamond surrounded by eight (8) accent diamonds for a total diamond weight of .38 carats. 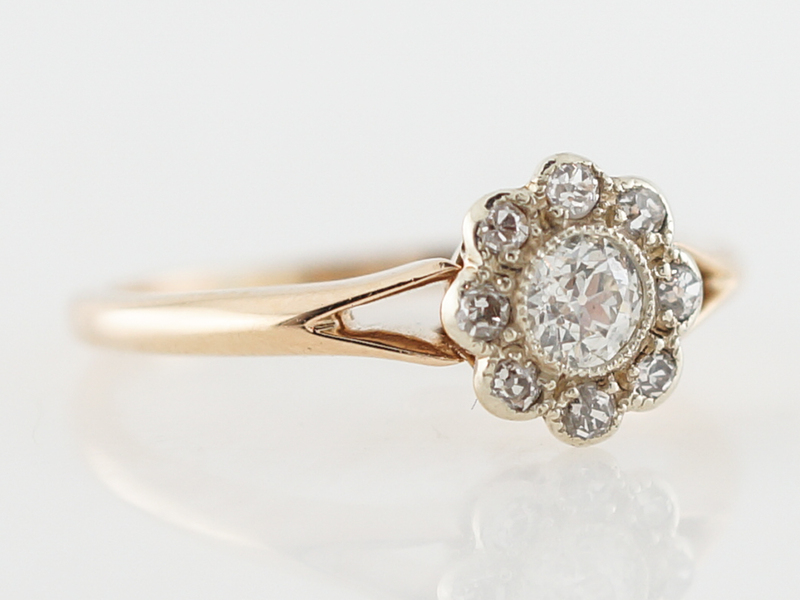 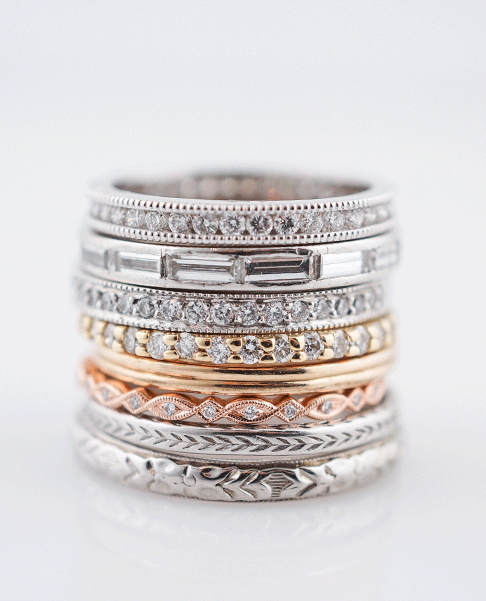 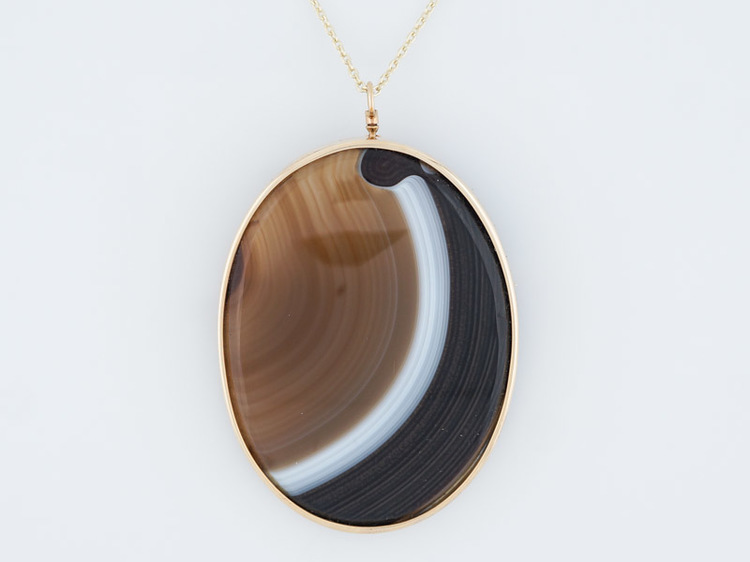 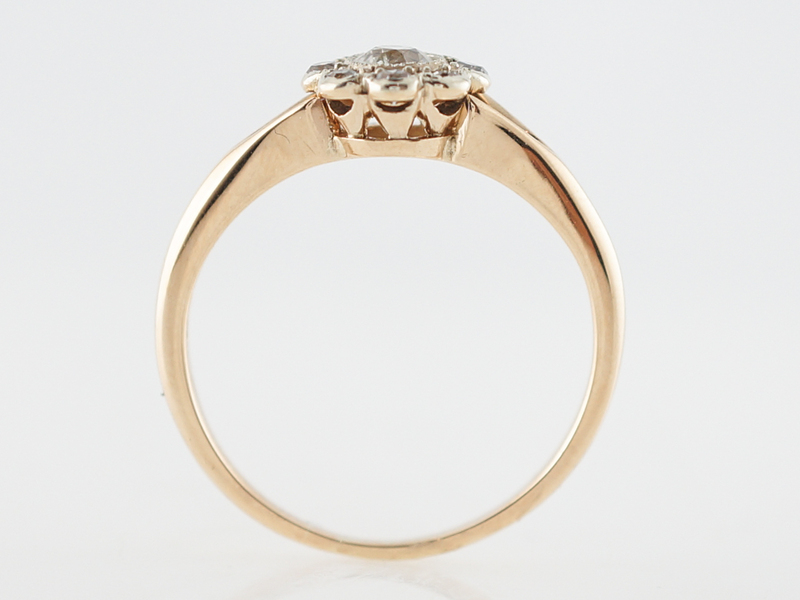 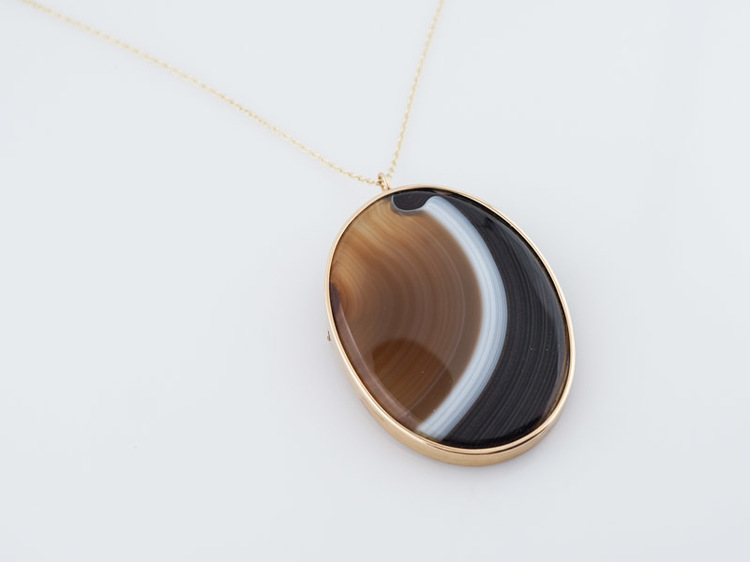 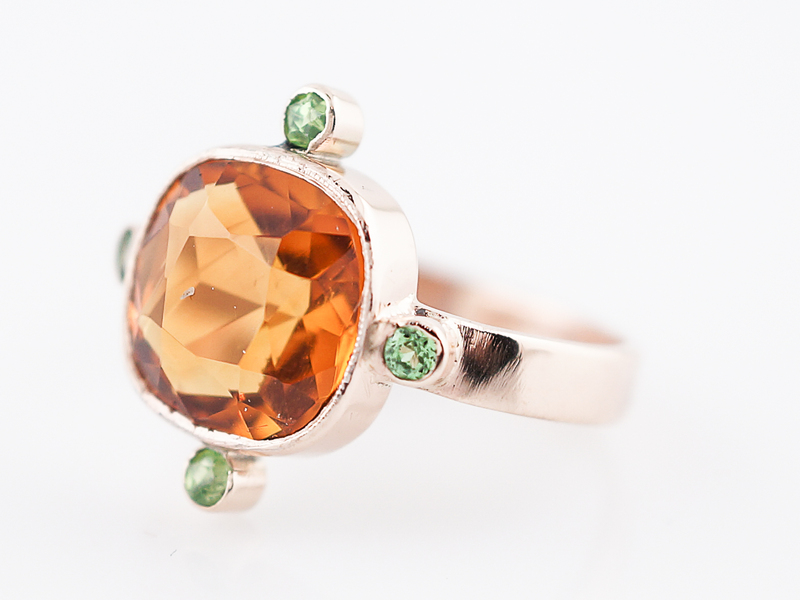 This lovely vintage piece is finished in 14k yellow gold.